Think of Ramadan, which begins this evening in many parts of the world, as a kind of monthlong biathalon that consists of an all-day race to beat back the hunger and thirst of fasting, followed by an all-night marathon of eating and drinking in order to fortify the body for the next day’s fast. In recent years in Turkey, iftar, the traditional break fast meal that used to mostly consist of some dates and a freshly baked round of Ramadan pide, has started to become an increasingly trendy affair, with ministers, businessmen and regular people trying to make an impression by hosting ever more lavish meals. This upscalish restaurant near the lovely Chora Church prides itself on its devotion to cooking according to ancient Ottoman recipes. For whatever reason, we’ve usually found the place uncomfortably devoid of customers during most of the year, but during Ramadan, Asitane fills up with fast-breakers looking for an Ottoman-style iftar. The restaurant’s garden is a particularly pleasant place to spend the evening. 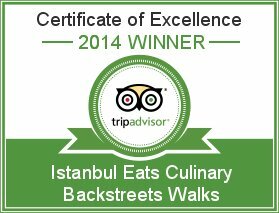 Although no excuse is needed to visit this well-known spot – one of our favorite restaurants in Istanbul – during Ramadan they are serving up a special iftar menu which, like the restaurant’s regular menu, will likely change daily and feature lesser-known regional specialties from around Turkey. Highly recommended. Located in the Asian side’s Üsküdar neighborhood, this classic restaurant is an esnaf lokantası (tradesmen’s cafeteria) that has grown into something bigger and classier, with an almost overwhelming selection of very nicely made prepared dishes served from what seems like a mile-long steam table. Unlike Kanaat, Şahin has remained a humble, yet bustling, esnaf lokantası, with two small floors and a smaller menu of classic dishes prepared with a lot of love. It’s another one of our favorite places in town. Istanbul’s Eyüp neighborhood and its complex of mosques and mausoleums is a major pilgrimage site and a favorite spot for families who want to have an outdoor iftar. During Ramadan, the historic neighborhood has an almost carnival-like atmosphere after sundown. Sultanzade Sofrası, a restaurant serving food from the Hatay region and overlooking Eyüp’s main square, is a great perch from which to take in the neighborhood’s iftar vibe. Since You Asked: Eating During Ramadan? Tried Kanaat yesterday and loved it! We’re getting closer to saving up enough to visit Istanbul. 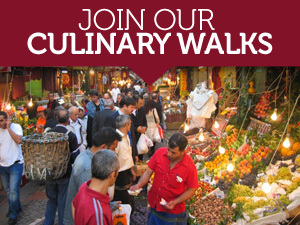 I love reading your articles and dreaming about doing one of your food tours. We’re thinking March will work for us but when I buy those tickets (watching them slowly get lower), you’ll surely hear from me! 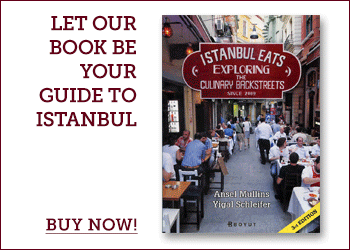 We’re so glad to hear you’ve found our site helpful for your Istanbul trips. Ramadan is indeed upon us, and our list of recommended restaurants is still up to date — these are our fave places for iftar meals. Hope you have a great trip to Istanbul later this month!